Since 1979, Willy’s Plumbing Inc. has serviced residential and commercial properties all across the LA County. Our technicians are experienced, well trained and dependable in plumbing services, listed below. We provide plumbing services 24 hours a day, 7 days a week, in case of any emergency that may arise. No job is to small, we do it all! 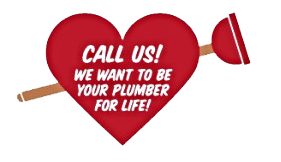 We want to be your plumber for life! Do you know how to shut off the water to your house? Do you know if you have a main sewer clean out? Why switch to tankless water heater?